A superior and intimidating fighter needs a superior and intimidating weapon to match their skills. With a double piercing blade, the Split Silver Push Dagger is the knife you need to hone your craft in close combat and self defense. The blade on this dagger, made from stainless steel with a satin ground finish, features a cut out hole for lightweight precision and serration for extra functionality and extended use. 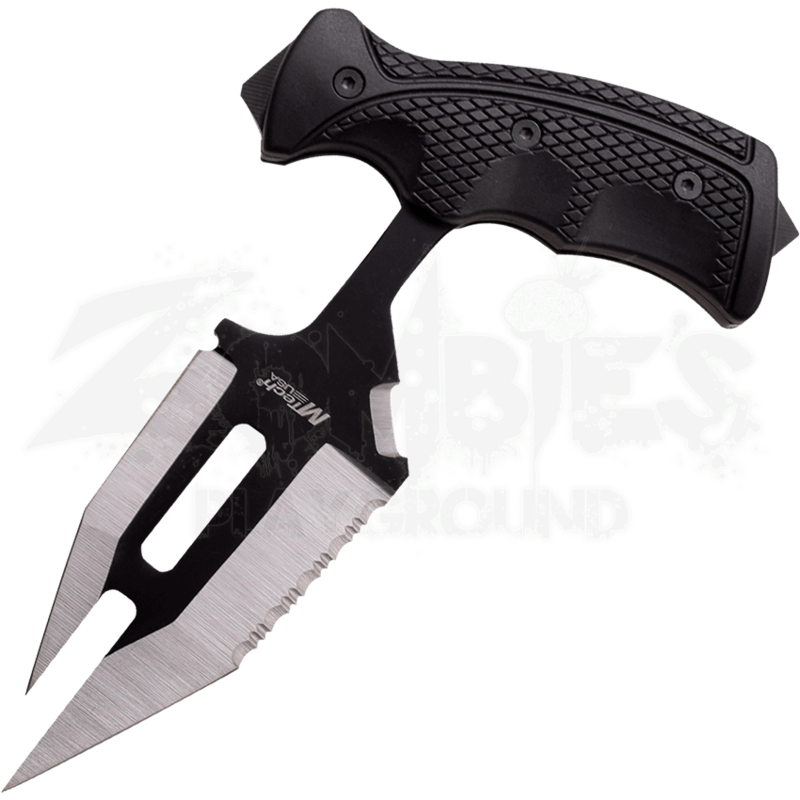 With a comfortable pistol grip design, the handle sits strongly in your hand while you make use of this deadly weapon. The split blade design on the Split Silver Push Dagger shows your enemy that you are an exceptional combatant, prepared to defend yourself at any moment.